The online video streaming service has finally arrived in the Wii and is now present on all 3 current-gen consoles. The main difference for the Wii version, besides its incompatibility with HD videos, is that it will need an install disc which can be presumably obtained for free. "More than 28 million people already use the Wii console to play games, stay fit and have fun. 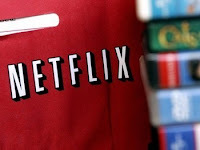 Now they have another reason to use the system every day -- to enjoy great movies from Netflix and other video content." 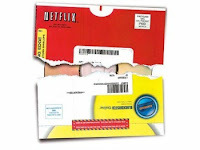 "Launching Netflix on the Wii home console marks a significant advance in the evolution of our service. Wii has created immense consumer excitement and has meaningfully altered the consumer electronics landscape. 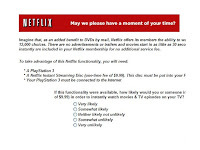 Bringing Netflix to Wii catapults us toward our goal of being ubiquitous on the connected devices most popular with consumers."